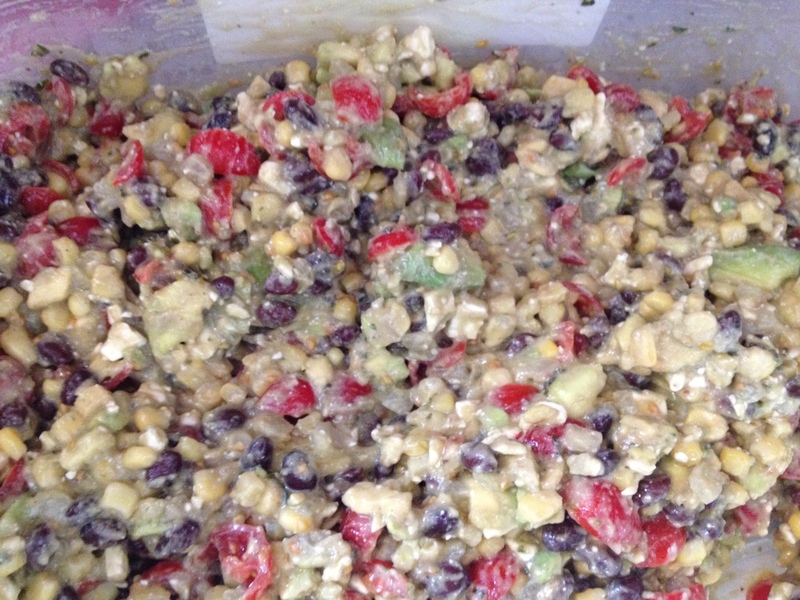 I made this dip over the summer for a party and it was a huge hit! It’s served cold, so just mix everything together and serve with chips. That’s my kind of dip! I figured with football parties coming up I should post an easy dip recipe for when you need to throw something together in a hurry! 1.) Chop your ingredients and place all of them together in a big bowl. 2.) Stir together and place in the fridge to chill for a few hours. 3.) Serve with tortilla chips, pita chips, veggies, etc. hey lady! thanks for sharing this recipe and sharing the link love 🙂 I need to make this again!